The forthcoming Cadillac EV and the numerous other electric vehicles the luxury brand plans to produce won’t be six figure vehicles, a General Motors spokesperson has indicated. Speaking to Canadian publication AutoTrader, Cadillac Canada’s managing director Hoss Hassani indicated the automaker is hoping to sell its EVs in large quantities and is will be careful not to price the bulk of its buyers out of them. It should be noted that Hassani is likely speaking in terms of Canadian dollars. In USD, the price range Hassan is referencing is equivalent to around $83,000 to $90,000. That’s roughly what it costs to get yourself into a Tesla Model X, so it seems as though the battery electric Cadillac crossover, which was previewed by the nameless concept shown in Detroit this past week, will be priced closer to the $69,500 Jaguar I-Pace EV. The electric crossover will be just one of many EVs that will appear on GM’s new modular electric platform. As Hassani explained to AutoTrader, the architecture is “meant to be a highly versatile platform that can work with different powertrain options.” It will also support front-wheel drive, rear-wheel drive and all-wheel drive layouts, along with different body styles like coupes and sedans. 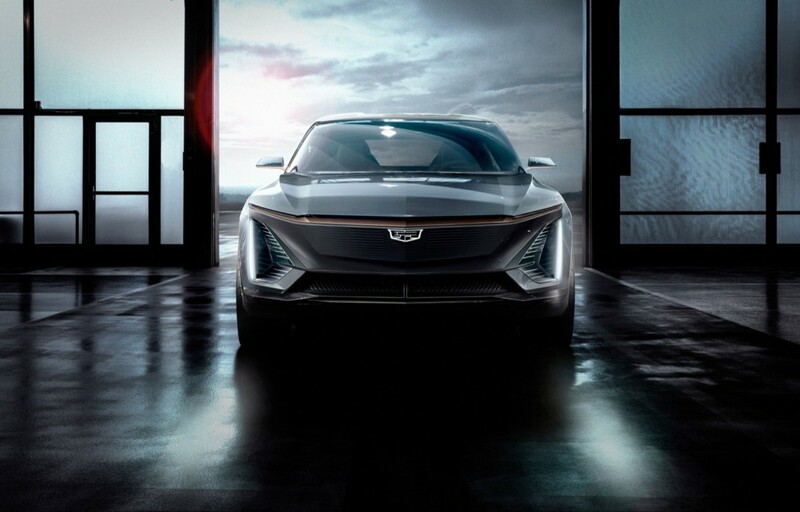 “We can build CUVs, SUVs, and cars from one singular architecture,” Cadillac boss Steve Carlisle said at the launch of the new concept EV. Cadillac is planning on introducing one new model every six months between now and 2021, some of which will be electrified or perhaps even pure electric. It won’t rush its first production EVs to market, however, and seems determined to undercut competitors in pricing. Stay tuned to GM Authority as the next phase of Cadillac’s seemingly endless transformation kicks off. Exactly. The door was left wide open on that! Which would make it about $70k US which is cheaper than a comparable Tesla. Aren’t the batteries supposed to be under the floor? That might make a low slung coupe or sedan difficult unless they’re 4 seaters, and I worry about the step-in height on a CUV. Have you seen the Tesla Roadster, either 1.0 or 2.0? $70K is change in the pocket. GM brought out their first lower priced chevy EVs because they thought people would buy them to save money on not having to buy gasoline because it was going to be $5 a gallon. people who worry about the price of gasoline are not going to buy $50K cars to save money they buy $18K traxs. True. Most of the Tesla customers buy them because they think they’re green. They don’t consider how the electricity is generated. A Cadillac EV are just for the rich – $70,000 plus – yeah right – that will happen for the masses. Why GM failed with the Chevy Volt was they had a great car – but they approached it half heartedly as a compliance car for carbon credits, they never stood behind it – never advertised it – dealerships steered customers away from it – so it fail. The Chevy Bolt – the same thing – – GM is Not really backing it. GM needs to build a sporty EV thats exciting and advertise sh_t out of 24 – 7. Sad to see it go… Love a see a CrossVolt EV – you own the name – what are you waiting for – I’d buy one – instead of a model 3. If you build it they WILL BUY. If you haven’t noticed by now, GM builds these beautiful concept cars and we all get excited. Then they never build it! Put the Escala on the CT6 platform with the new V8. Just DO IT! You seem to forget about the biggest problem. All the dead batteries. What are we going to do with all of these dead batteries in 15 years? its going to be a nuclear waste problem 2.0. Not to mention, what happens when all of the rare metals used to makes the batteries run out? HOW OLD ARE YOU TO HAVE NEVER HEARD OF BATTERY RECYCLING!?!! What the hell do you think happened to your old car batteries that you got rid of? 5 minutes could have saved your arse, but you weren’t even willing to try! !st of all, this would be Cadillacs second PHEV vehicle. Did everone forget about the ELR? Do you remember why the ELR died?…………………………………………………….Price. The base price was around $76,000. and with options, around $85,000. The public didn’t buy it, and Cadillac cancelled it after two years. Sad, it was a beautiful car, but low mileage, long recharge time, and high price……killed it! Cadillac, again, is going to be LAST to the party will all electric vehicle. If it’s not the best in every way, not marketed, and not killer designed, it will be an also ran………..